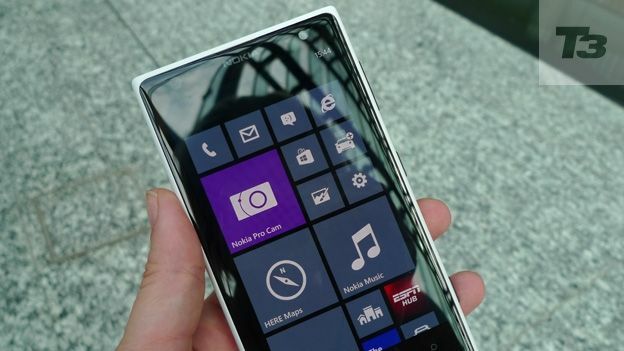 Nokia has begun rolling out its major Lumia Black update around the world. The update features a number of updates to Nokia's Windows Phone 8 devices, including improvements to photography and organisation. Lumia Black comes with a new App Folder that allows users to organisation their apps more effectively from the Start screen. It also comes with Nokia Glance 2.0 which promises to make it easier to keep a track of notifications, along with Nokia Refocus, Nokia Beamer and Nokia Storyteller. There is also a new Nokia Camera app, which combines the Nokia Pro Camera and Smart Camera apps, and adds RAW DNG support for Lumia 1020 owners. In addition to new photography and imaging apps, there have also been a number of changes to the way that the operating system handles taking photos. A new oversampling algorithm means that people can expect less noise in their pictures. Along with changes to organisation and photography, Lumia Black also brings with it a range of other tweaks including the introduction of a new safe driving mode, customised ringtones and the ability to close apps in WP8's multitasking view. The Nokia Lumia Black update arrives for the 1020 and 925 yesterday. It is expected that the operating system update will arrive for other devices in the coming weeks. According to Nokia, the phones will notify users when there is an update available.